Senator Pascal Mooney. Fianna Fail. 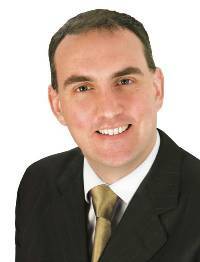 Denouncing the move, party senator, Paschal Mooney said the cuts “are proof that Government promises to protect the sickest and most vulnerable have been broken once again. 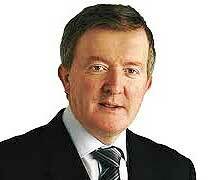 “I am shocked by the drastic reductions in medical cards in Sligo and Leitrim. The figures indicate that the numbers have been slashed from 43,384 in September 2013 to 41,899 last September. Senator Mooney said that for years the Government tried to cover up the fact that it was carrying out a full scale cull of medical cards. “They refused to accept that they were subjecting some of the sickest and most vulnerable people to months of unnecessary anxiety and stress as they targeted cards in a bid to cut costs. Despite the issue being raised repeatedly by Fianna Fáil, Ministers only admitted to the scale of the cutbacks during a backlash ahead of the local elections. “The latest figures reveal the extent of the cuts, with almost 1,500 people in Sligo and Leitrim losing their cards over the course of one year. It is appalling to think that the Government is continuing to remove cards from people with serious illnesses and disabilities, as well as from people over 70. “I have been contacted by numerous families whose loved ones have had their cards withdrawn or who have been denied their cards on appeal. O’Dea and Harkin set down marker on Irish Water demands. More than a hundred attended a meeting ahead of a planned major rally against water charges in Ballina next weekend. Last night’s meeting in the town heard demands for the abolition of the Irish Water utility and a referendum to block commercial exploitation or privatisation of the country’s water resources. It’s understood that TDs and councillors were invited but failed to make an appearance. One of those behind the planned protest said upwards of 10,000 flyers were being circulated for what was hoped would be a strongly supported public rally. Protest marches are also being organised for next Saturday in Sligo, Castlebar and other towns and cities throughout the country as part of a national anti water charges campaign. Meanwhile, Fianna Fail front bench spokesman, Willie O’Dea has said he will not provide his PPS number to Irish Water while MEP Marian Harkin is urging the public to oppose proposed Irish Water charges for leak repairs. However, both it seems will be paying the charges for water. Voluntary sports clubs could be facing major new taxes following changes moved by the government under the Valuation Act. A Bill currently being steered through the Oireachtas by Minister of State, Simon Harris, provides that any club deriving income from the leasing or use of the premises for a commercial purpose stands to be hit with the full weight of commercial rates. The Bill appears to indicate that a range of activities may be regarded as commercial, including crèches, small community promoted business start-ups and provision of space for meetings unconnected with the clubs defined activities. Rates will be payable even where the survival of a club is heavily dependent on income from commercial usage or lettings. He said that the Valuation Act that his colleague Deputy Barry Cowan had put forward in the Dail was designed to reduce unfair rates by limiting charges to club premises served by a bar. However, an amendment introduced by Minister of State Harris will, he said, “see sports clubs charged rates on income generated from areas other than membership fees. “This could see organisations forced to pay commercial rates for renting out pitches or other facilities. It will place a massive financial burden on many hard-pressed clubs across this region, which are struggling to remain viable. “While I believe that rates should be paid on the bar areas in clubs, the imposition of rates on other facilities, which are essential revenue raising tools right across the North West, goes too far. FEARS FOR PUBLIC SAFETY FOLLOWING SLIGO TOWN CENTRE VIOLENCE. Fears are growing about public safety after violence flared in Sligo’s main shopping street. At least one person is reported to have been left with a severed finger when the violence erupted during afternoon shopping hours in O’Connell Street. Another allegedly had a knife plunged into his side in the town centre. The violence comes as plans are being drawn up for the development of the town centre as a hub of nightlife activity under a Diageo sponsored programme known as the Purple Flag. Diageo is one of the world’s leading purveyors of alcoholic products, and owner of iconic brands including Guinness, Bushmills and Smithwicks. Assessment for the Purple Flag award appears from a press release to extend to an evaluation of the town centre economy between the hours of 5 pm and 5 am in the morning. Commenting on the recent violence, a town shopper said the account was “frightening, not least of it details that it occurred during hours shoppers were present in the town centre. “There’s a very real danger of shoppers being hurt in this kind of disorder. The garda press office has confirmed that there have been no arrests and the investigation is ongoing. Riverstown Plans by Irish Water to shut down the area’s water pumps has struck a raw nerve in the local community. Sligo County Council turned over the century-old pumps to Irish Water earlier this year, but now residents of the area have launched a campaign to block the national utility dismantling the pumps. More than 200 have signed a petition in a bid to have the pumps placed under a preservation order. They are also calling for the existing water supply to the sites to be maintained. Organisers say they are also proposing to take the campaign nationwide to ensure the survival of the valued village heritage in every county of the country. Tubbercurry The Mayoral race is on with five candidates vying for the honour of representing the town. The ‘contest’ is a fundraiser launched by the local GAA club. Candidates in the running are Michelle O’Hara, Pat Kilcoyne, Michael Foley, John Murphy and Stephen Gilmartin. The last mayoral election was more than 30 years ago when the successful candidate was the late Joe Masterson. Dromard Edward (Eddie) Neary, who died recently, was a well known GAA figure and referee. St Patrick’s GAA Club, with which he was closely associated, formed a guard of honour at his funeral, which took place to St. Mary’s cemetery following requiem mass at St. Adamans’ Church, Skreen. He is survived by his wife Mary and children Eamonn, Maire, Caoimhe and Richie. Millions of euros for ‘powerless’ councils. It seems the Coalition has rolled out ‘powerless’ bodies which are costing the country millions of euros. According to reports, the system has been slammed as “a farce” by long-time Independent councillor, Declan Bree in comments on the status of the Sligo Municipal District Council. The district body, he declared, was nothing more than a sub committee of the county council. “We have no powers whatsoever”, he insisted. All of which raises what should be public concern as to the function bodies without statutory powers serve, and if their abolition would not save millions of euros in councillor allowances and expenses which could be more profitably invested in our overstretched hospital and care services. Chairman of the Sligo District council is Fianna Fail member, Cllr. Tom MacSharry. The South West Sligo municipal council is chaired by Cllr. Martin Baker, Fianna Fail. Tubbercurry. The town has lots of space for industry but jobs are ‘walking’. Public servants in the local government offices are being transferred to Ballina, and Aurivo, the co-operative, is switching its headquarters to Sligo. Councillors Gormley and Lundy have been raising concerns but it doesn’t appear to have attracted any great attention. President of the Chamber Romould Mullarkey now wants the government to launch a task force to help stimulate local business and employment opportunities. Easkey. West Sligo Family Resource Centre are said to be calling for bras to be dropped…in a bin at Enniscrone. The ‘Give your Bra’ campaign is in aid of the Marie Keating Foundation, which will receive a euro for every bra donated. A good cause. The town is also preparing to bring grace and elegance to Enniscrone with a night of ‘Strictly Come Dancing’ at the Hotel Diamond Coast. Support for the twenty-two dancers is being requested for the show, which is on Sunday night, 26 October. in succession to Rev. Kieran Holmes. With Very Rev. George MacHale, Fr. Rogan is one of two priests in the Kilglass parish. The ‘Irish Garth Brooks Experience’ is a fundraising night of music and dancing organized by Enniscrone National School for tomorrow night, 18 October. Venue is the Ocean Sands Hotel. Tickets are €15. The takeover of the Castleconnor and other schemes was proposed by Cllr. Margaret Gormley, seconded by Cllr. Joe Queenan, and agreed by Fianna Fail and Fine Gael members of the council. Sympathy is extended to the Mahony and Loughney families on the death of Mary Mahony (nee Loughney) Bunree, Ballina. May she rest in peace. Congratulations to Paul Hughes who was awarded a Doctor of Philosophy (Law) degree at UCD. Dr. Hughes is the son of Evelyn and Liam Hughes, Corballa. Collooney. Village Re-Development is organising a 5 km walk – an annual event. It is being held on Sunday 19 October, with the message ‘all are welcome’. Beltra. No escaping the demands on water users. Members of the local water scheme are being informed that they need to submit the ‘official’ forms in order to qualify for the household allowance. Maugherow. The long standing tradition of a Harvest Day is being revived by the owners of Lissadell House. In past years, the occasion was a harvest celebration for workers and tenants on the estate. The event, on next Sunday, 19 October, will showcase food producers and craft makers from the North West of the country, and give visitors an opportunity to sample and purchase from a diverse offering on the day. from the public Lough Easkey service. Tireragh. From an informal survey carried out by Sligo News File Online, it appears more people are opting to shop local. Parking charges in Ballina and Sligo are turning shoppers away, as well as which ‘bargains’ as good as, if not better than on offer in either of the two main towns are to be found locally – everyone also saves on the costs of motoring. 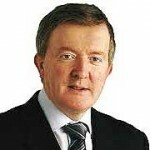 Michael Cawley, who died recently. was a highly popular figure in Sligo GAA circles. The father of three passed away after suffering a heart attack at this home in Attychree, Enniscrone. A builder by occupation, Michael was active in parish development activities, playing a leading role in progressing projects including the construction of a parish community centre and the area’s group water supply scheme. His input to the parish Foroige club was immense, encouraging in his easy and persuasive style qualities of leadership and responsibility in the club’s teenage membership which earned him widespread respect and appreciation. He was also active in the Castleconnor Community Games of which he served as committee chairman. Michael will be warmly remembered in particular for the major role he played in the successful promotion of Ladies GAA football both at local and county levels where he was heavily involved in coaching and administration. He was part of the County Senior Management in 2002 and 2003. Paying tribute, former Ladies GAA County Board chairman, Ted Maloney, said Michael was “the quiet hero of the ladies football scene in Castleconnor and throughout the county. “His contribution to the sport was immeasurable, and more. There was also in and about him a generous friend always ready to give of his very best no matter the call on his time or energies. “Michael will be solely missed by all who had the privilege of knowing him. The county has lost one of its finest – a true Gael”. Michael is survived by his wife, Joan, son Brian and daughters Pamela and Louise. The funeral took place yesterday of Owen Gormley, Doobeg, Bunninadden. He was a brother of Cllr. Margaret Gormley, independent member of Sligo County Council. The deceased is survived by his wife, sons and daughters. His funeral took place to Cloonameehan Cemetary following Mass of the Resurrection at the Church of the Sacred Heart, Bunninadden. Lots included commercial premises and lands at Ballymote. Properties owned by former minister of state, John Perry failed to attract bidders at auction. Lots on offer included a commercial property at Teeling Street, Ballymote, and forestry lands at Clooncoose. No bids were reported to have been made when the properties came up for sale by auction by Dublin-based auctioneers GW2. 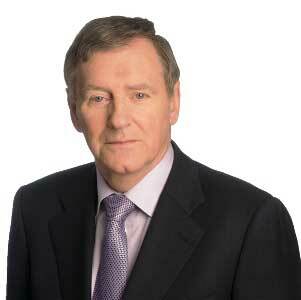 Perry (58) of Carrownanty, has been Fine Gael TD for Sligo-Leitrim since 1997. 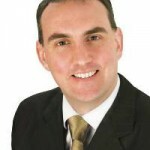 He was previously a member of Sligo County Council from 1994 to 2004. He was dropped as minister of state for small businesses in the ministerial reshuffle a few months ago, in July 2014. In 2013, Perry and his wife consented to a judgement of €2.4 million against them at the Commercial Court over unpaid loans to Danske Bank. A few years ago, he became embroiled in an exchange with Ocean FM when he abruptly hung up the phone while being questioned during an interview about the return of cancer services to Sligo. He told a local newspaper he wasn’t answerable to the media. He promised, during the 2011 election campaign, that all breast cancer services would be restored to Sligo General Hospital within 100 days of Fine Gael getting into office. Since the removal of the services, patients have to travel to Galway for breast surgery. Perry served as vice-chairman of the Joint Oireachtas Committee on Communications and Natural Resources from September 2002 to October 2004, and was also chairman of the Public Accounts Committee. He was appointed minister of state for small business in March 2011. The office has been abolished.